The Vector 750 is built to get you wherever you need to go quickly and comfortably. With an Automatic CVT transmission, 4-Wheel Drive with Locking Differentials, Nitrogen Assisted Shocks and a list of standard accessories, the Vector 750 will make you feel right at home with the big boys. Limited Road Rego Ready – Indicators, horn and mirrors. High performance machine while keeping to a budget. 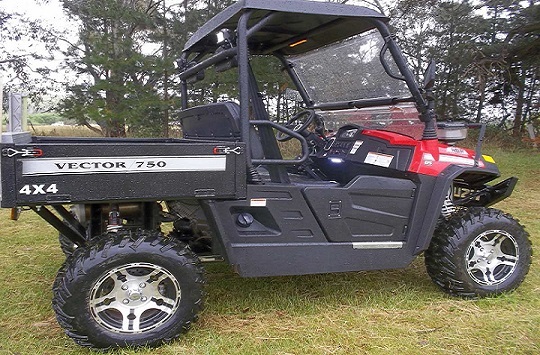 The durable 750 series are extremely versatile for either work or play, with plenty of storage and power, this is an incredible asset to any property. The bench seat is what you want a more practical machine for chores around the farm. Recreational AND Commercial Manufactures Warranty.